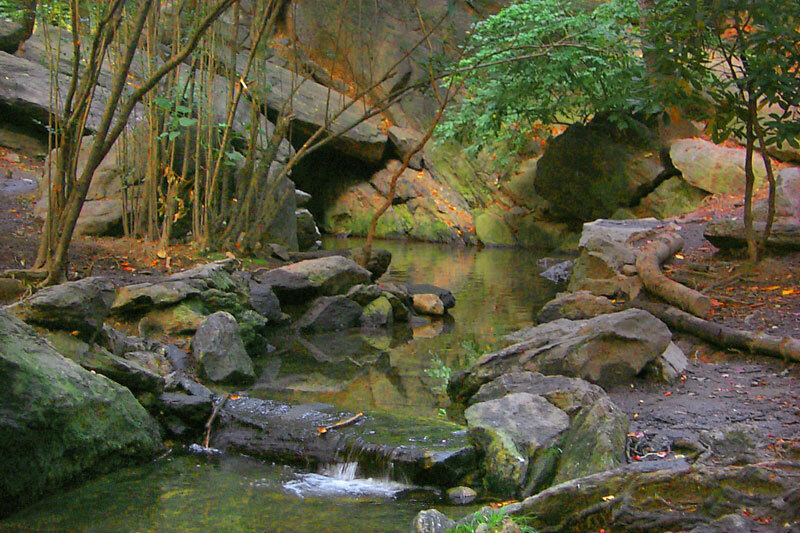 Miami In Focus Photo Gallery of the Source of the Gill C76 in Central Park. 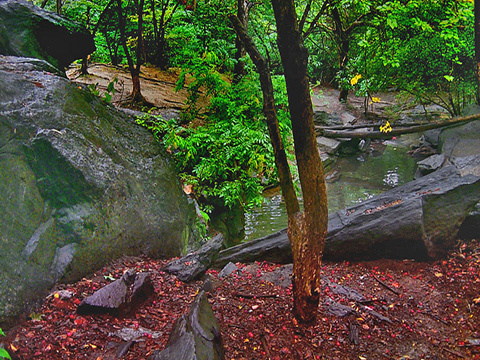 High in a rocky outcropping at the center of Central Park between 76th and 77th Street is the Source of the Gill. Here a faucet turns on the water that will rush over its surface to a cascade below. Just beyond it to the west is the natural habitat Azalea Pond, which it feeds with its vitally changing water supply.